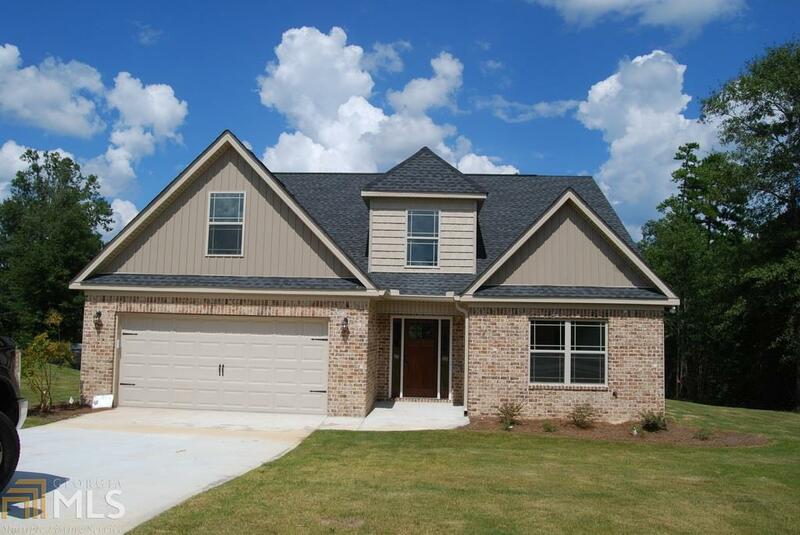 Affordable new construction with 4 bedrooms! Great open plan features great room w/fireplace and hardwood floors in all main living areas. Kitchen w/breakfast bar, SS appliances, custom cabinets, granite counters, tile backsplash. Master suite features tray ceilings, walk in closet and master bath w/double vanities, separate shower and tub. Two other bedrooms on main level, huge 4th bedroom with full bath could be in-law suite or bonus room. Back patio overlooks private, wooded backyard w/no rear neighbors. Located in Jones County, but only minutes from Macon! Now complete. Directions: Take 129n From Macon, Turn R On Rl Wheeler Rd, Continue On Chapman Dr, Turn L On Chapman Ridge Road.